In “Tails You Lose! – Part 1 of 2“, Gerald Binks posed several questions regarding the loss of tail feathers in budgerigars. Here is my response to those questions. Avian Polyomavirus (APV) infection, otherwise known as Budgerigar Fledging Disease, is the primary cause of this symptom although other factors are often involved. Budgerigar breeders recognise symptoms of APV in their birds as French Moult. The term French Moult is a symptomatic description of a disease that may include APV, Psittacine Beak and Feather Disease virus (PBFDS) and other infections. Prevention is the only cure as there is no treatment for APV. An understanding of the disease and other predisposing circumstances will help prevent the disease. There are three important facets to this disease. APV is the most common disease of budgerigar studs. In my book “The Budgerigar”, I describe it as the most significant disease of budgerigars, as it often affects immunity thereby having a profound effect on the long-term health and reproductive ability of an infected budgerigar stud. Infection with APV occurs primarily in young budgerigars between 0-20 days of age. Budgerigars that survive the acute infection will often drop their long feathers in the weaning cage, fail to develop their primary wing and tail feathers, or these may be deformed as the virus damages the feather follicle especially of these long feathers. APV infection is life long although infection and disease are not synonymous. In fact the vast majority of APV infections are asymptomatic. In most instances the lost flight and tail feathers of weaning budgerigars are regrown soon after recovery from the acute infection. These birds however remain “carriers” of APV and are the most likely birds to lose their tails during the first adult moult. Small outbreaks in adult birds have been reported but are rare. Psittacine Beak and Feather Disease virus (PBFDS) infection (that often occurs together with APV in budgerigars) is thought to be immuno-suppressive and may predispose adult birds to APV disease. From my perspective, I consider APV to be a disease confined to young birds but which remains as a life long infection. Most infected birds remain symptomless “carriers” throughout their lives. Some individual “carrier” birds – mostly those possessing exhibition quality feather features – become re-infected with APV following a stressful event. In my view the loss of tail feathers in adult birds is confined to birds already infected with APV i.e, “carrier” birds. Often these birds have not exhibited any prior symptoms associated with APV. However, in most of these birds there are symptoms of APV prior to the failure of the tail feathers to regrow although they are not obvious to most budgerigar breeders. A close examination of affected birds often reveals a slow or delayed moult, low vitality, poor feather condition, missing flight feathers, frayed tail feathers, staining of the feathers above the nostrils, preen gland cysts and tumors, feather cysts and other signs of poor general health. Some birds may appear in very good condition but these birds often have lost feathers during the weaning period and regrown them soon after. They are in fact APV “carrier” birds. A failure to regrow tail feathers is most likely to occur in APV “carrier” birds during their first adult moult. These birds are often physically large birds that also possess championship quality feather features. The regrowth of the paired central tail feathers occurs towards the end of the moult at the same time as the long end flights. Any nutritional deficiency (i.e. stress) is more likely to appear at this time as these feathers are the largest in the body and because their regrowth also occurs towards the end of the moult. Dormant APV infections are likely to be activated in “carrier” birds at this time. 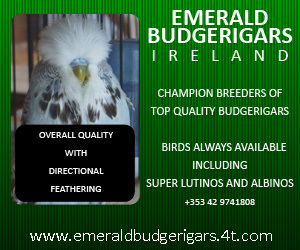 The quill strength of many championship quality budgerigars is poor. Poor quill strength may be a consequence of APV infection or poor genetic selection. Feather problems (e.g. feather cysts, bacterial follicle infections, feather abnormalities) and a failure to regrow tail feathers are more likely in birds with poor quill strength. Feather cysts (i.e. retained curled up feathers are trapped beneath the skin) and other feather abnormalities may occur as a result of poor quill strength in the absence of APV infection. Avian Polyomavirus (APV) infection and methods used to prevent it are covered in even greater detail in my book – “The Budgerigar”. Note from Gerald S Binks: If you are serious about your hobby, I would urge you to obtain Dr Marshall’s book “The Budgerigar” which took 12 years to compile. Details of how to obtain a copy can be found below. Just read all above about the feather problems related with viruses. I’m a rookie exhibition budgerigar breeder from Pakistan. 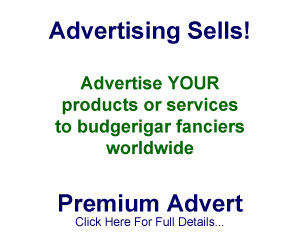 I got my initial stock from local breeders and bird market…the very first generation of birds were born normal feathered, but after moult they have stress bars on primary flights and primary tail feathers. I have seen this problem only in males and their female siblings have strong feather quills and perfect feathers. Their feathers do grow at normal rate but with stress bars. Their diet and protein intake is good enough. I don’t think it is a APV, French Moult or PBFD. I’ve noticed on few males they have primary tail feathers like they chewed it early stage. I will try to post pictures.